Many people only spend a few days in Bhutan due to it's $250 per person per day fee. It can be difficult choosing what to see and do to make the most of your money. 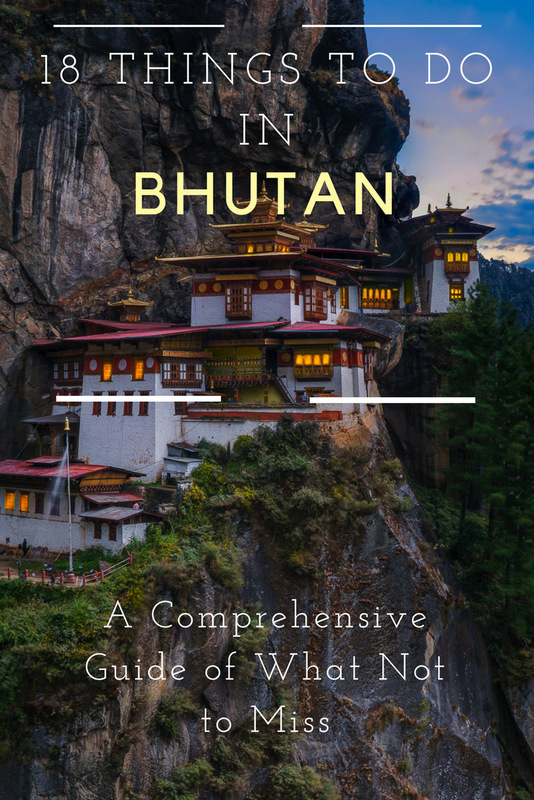 We've created a comprehensive guide of things to do in Bhutan, that showcases the most popular sites broken down by areas and districts. It's great for first-timers and return visitors alike! 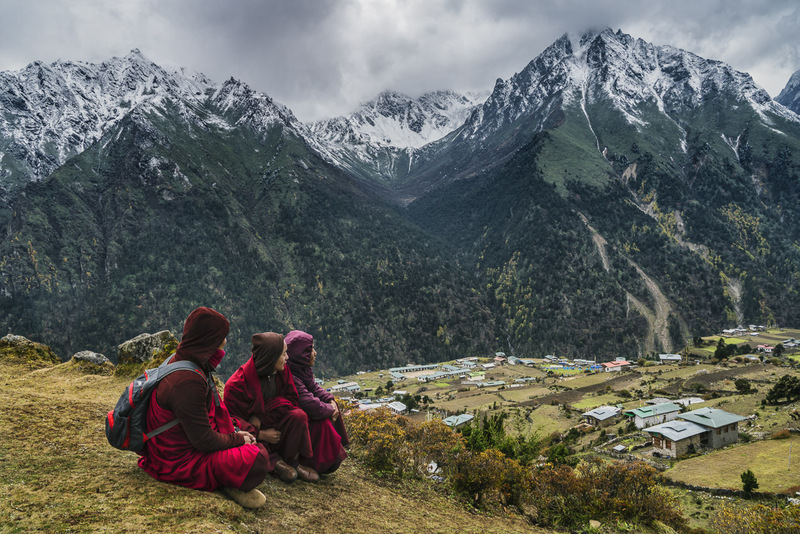 Besides what you would normally pack for any backcountry adventure, we've highlighted a few items that are importannt when traveling to Bhutan. Personal first aid kit – chances are you won't be able to get a lot of medication or first aid in Bhutan, so have a full kit with you. Here's our travel first aid kit list. 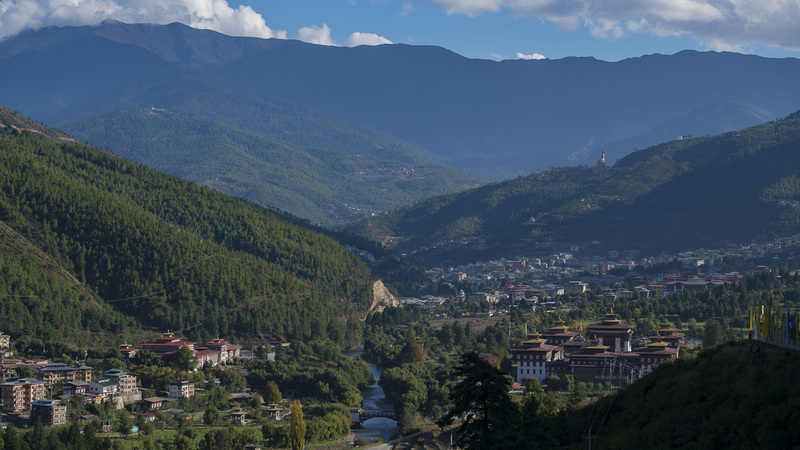 Paro is mostly a jumping off point for people venturing out to see other parts of Bhutan but there is one major attraction that nobody misses when they visit the country. People either do it on the first day they arrive in Bhutan or on the last day in the country. And that attraction is Tiger's Nest Monastery. Tiger's Nest Monastery aka Taktsang Monastery is located just outside of Paro and is the most popular thing to do in Bhutan period. 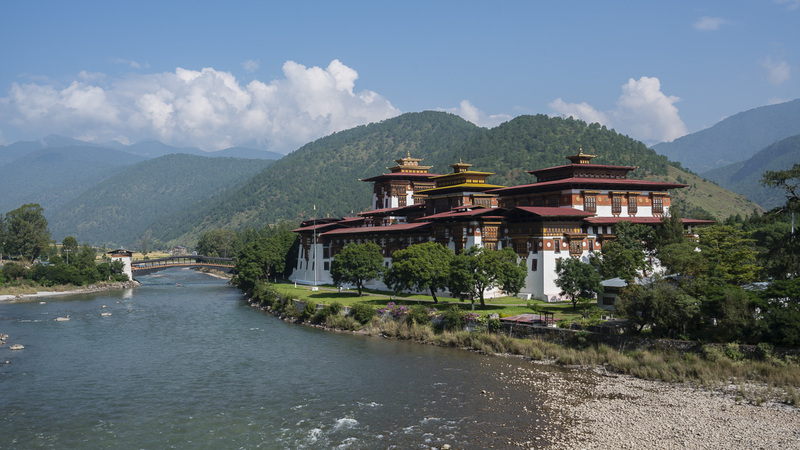 It was blessed as one of Bhutan's most sacred sites and is not to be missed. 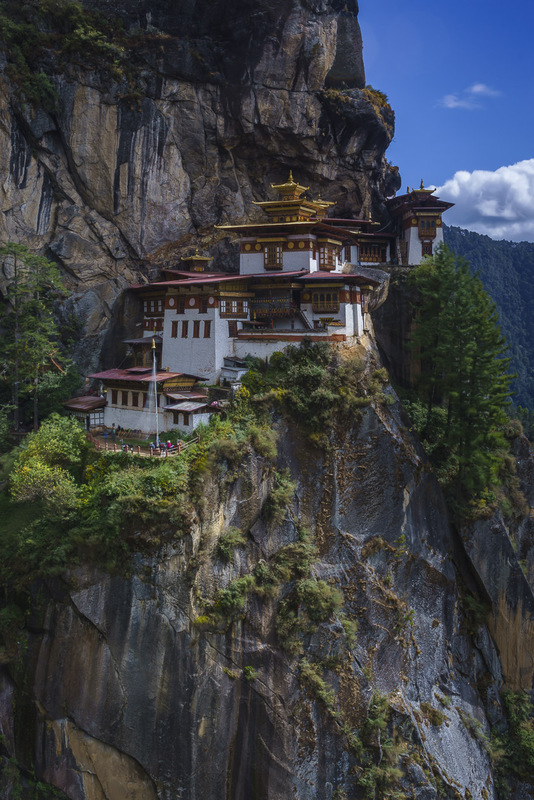 When searching images for Bhutan, chances are you will find Tiger's Nest Monastery in the first image. It is beautiful. 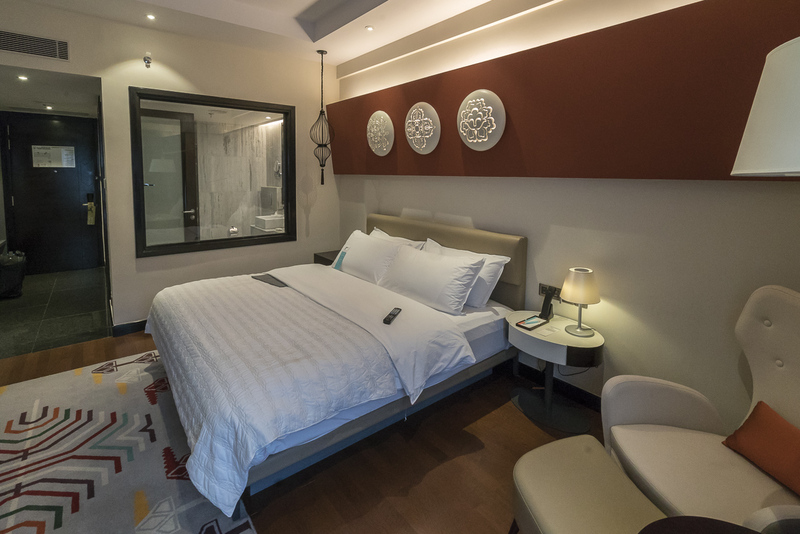 Le Meridian Paro Riverfront was exceptional and our favorite place to stay in Bhutan. It was a perfect retreat after trekking up to Tiger's Nest Monastery. Note: On Sunday's the hotel doesn't serve alcohol in the main restaurants and lounge. You can order room service and use the mini bar. This is usually the next stop on Bhutan Tour. 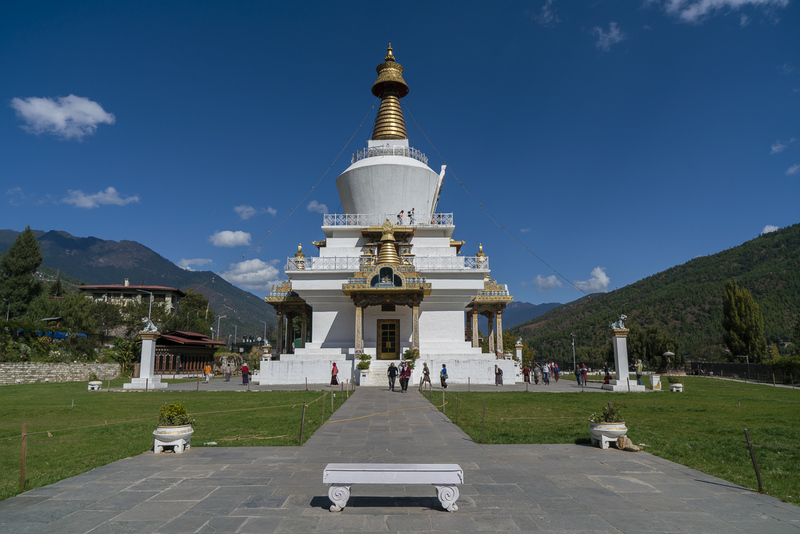 We actually left Paro as soon as we arrived in Bhutan from Thailand and drove directly to Thimphu leaving Tiger's Nest Monastery for the end of our tour. 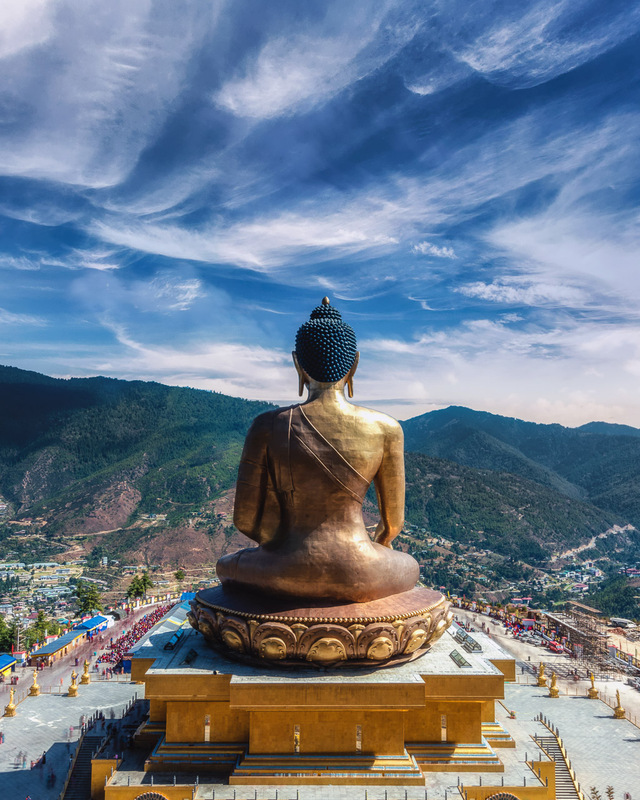 Make sure to hike up behind Buddha for a look at it from above. There are tents and camps that locals use behind Buddha and you'll be welcomed with open arms. Dzong's were once fortresses in the Himalayan mountains of Tibet and Bhutan. 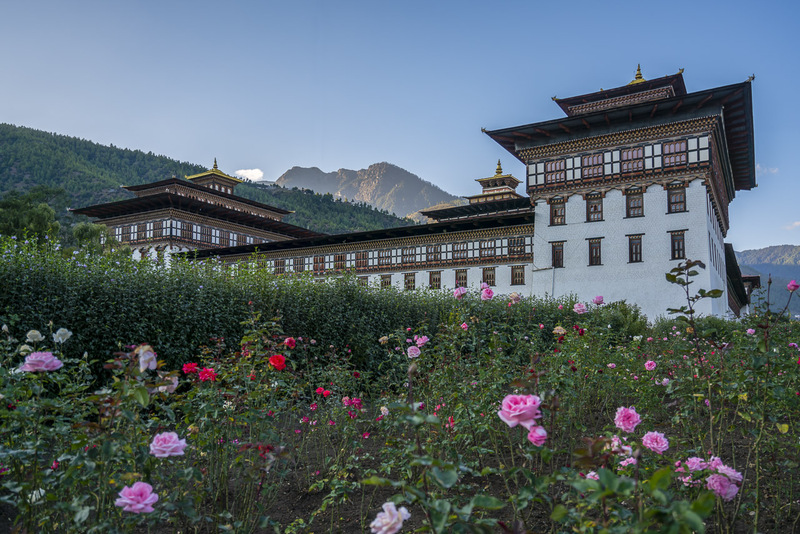 They were turned into administrative buildings and house the administrative centers of Bhutan. Dechen Phrodrang Monastery was at one point, the administrative center of the country, but today it is a monastic school. 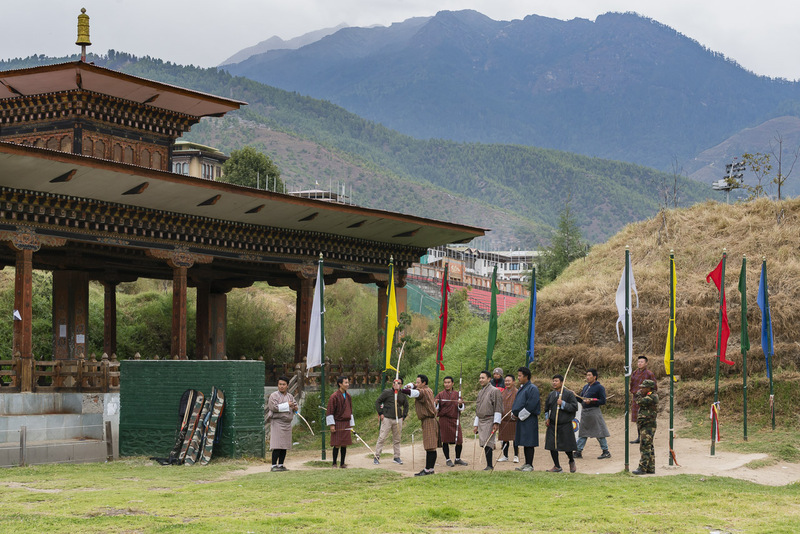 Archery is Bhutan's national sport. You are free to watch without charge when they are practicing, just don't disrupt their concentration. 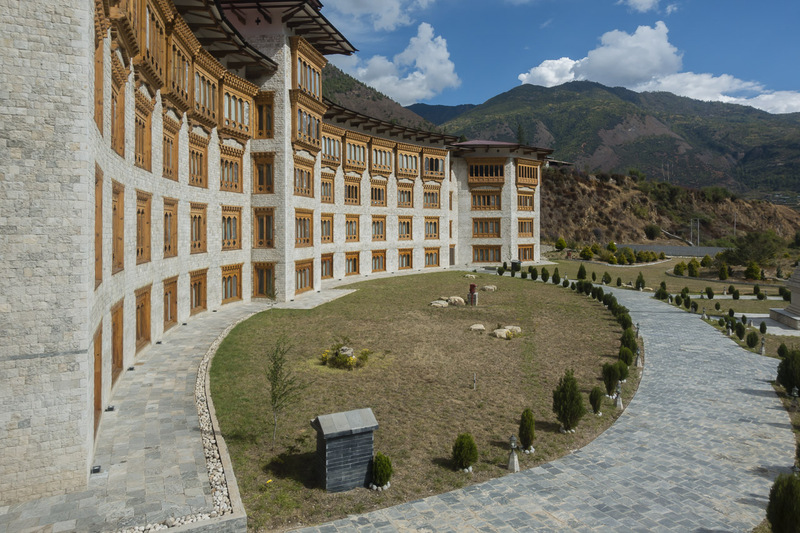 There are many dzongs to visit around Thimphu, and the Tashicho Dzong is the main administrative building used today. It's massive and there are monks wandering the grounds. Lesson learned – Don't pat animals in a foreign country and then scratch or touch your eyes. It will ruin your day. There is also a textile museum and paper factory that that can be visited in Bhutan that is supposed to be fascinating. But Dave and I didn't blend well with our fellow journalists so we went off to explore the more adventurous side of Thimphu like the archery and monasteries, while they went the other way on the bus. Remember, when on a tour, it's your vacation, you don't have to stick with the crowd, even if you feel pressured to. Group tours are good for helping to guide you, but you can still explore on your own. This little place feels like it could be anywhere in the world. They offer pizzas and pasta and although we didn't order it, others tried the (either yak or ox – I cant' remember which one it was) burgers and said they were great. There is also a botanical park nearby, a shop for snacks, tea and souvenirs and a temple. Most people don't stay here for long, but we had two separate stops here and couldn't get enough. 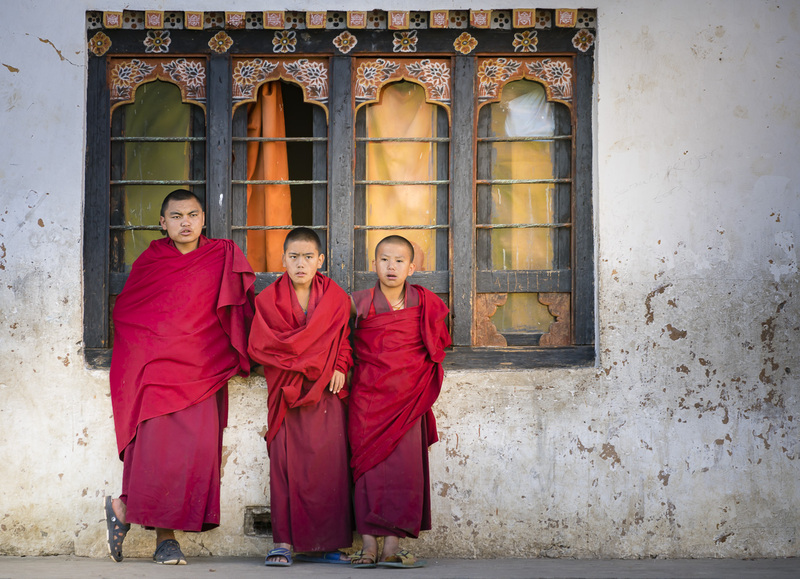 Besides being administrative offices they are also monks' accommodation and when visiting a dzong, chances are you will have the opportunity to interact with local monks. The Phunaka Dzong is the second oldest Dzong in Bhutan built in 1637 and is considered the country's most majestic dzong. The King even had his wedding here in 2011. 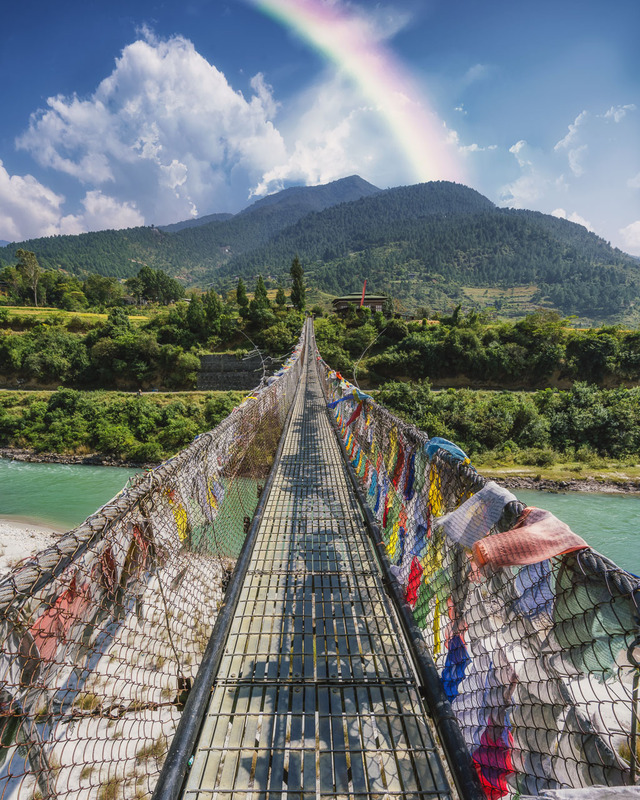 Just a short walk from Phunaka Dzong is Bhutan's longest suspension bridge. It's a heavenly scene with prayer flags draped over the rails all the way along. Take a walk across and keep an eye out for people whitewater rafting below. Overlooking the Phunaka Valley, this Chorten (shrine) is spectacular. It's a 45-minute hike through rice terraces and rice fields. 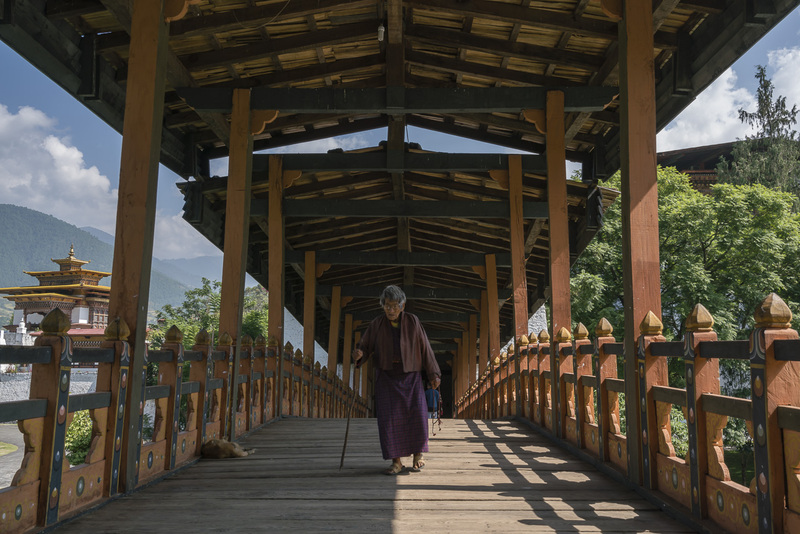 It takes passed prayer wheels on a dirt trail that turns into a stone path. 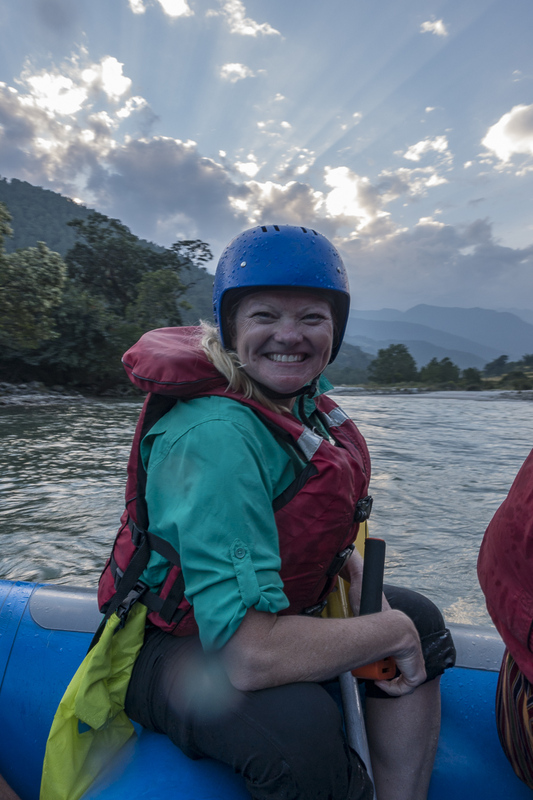 It's always fun to go whitewater rafting, and just outside Phunnaka is an easy class 2-3 whitewater rafting trip that takes you through the valley. 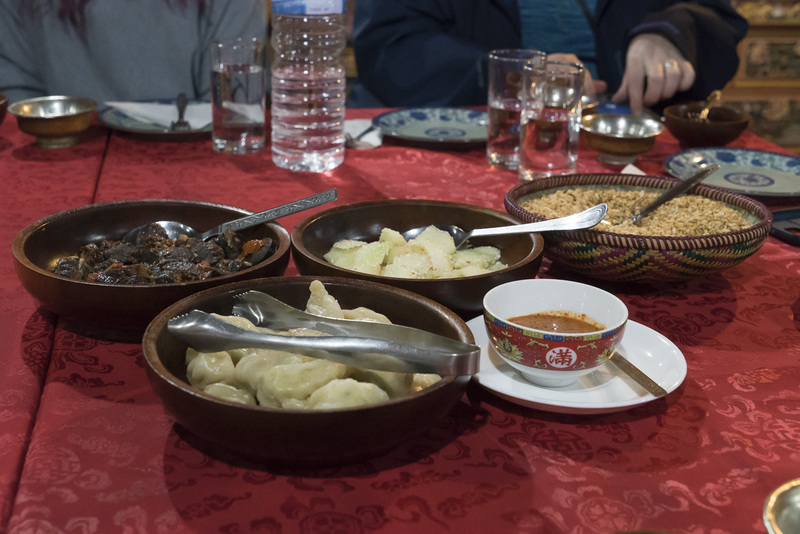 You'll go under suspension bridges, see the surrounding mountains, dzongs, and chortens. Bhutan has a happiness index that has given it the distinction as the happiest country on earth. Because Bhutan has kept tourism to a minimum by imposing a $250 per day tariff, the people of the country aren't jaded to tourists yet. 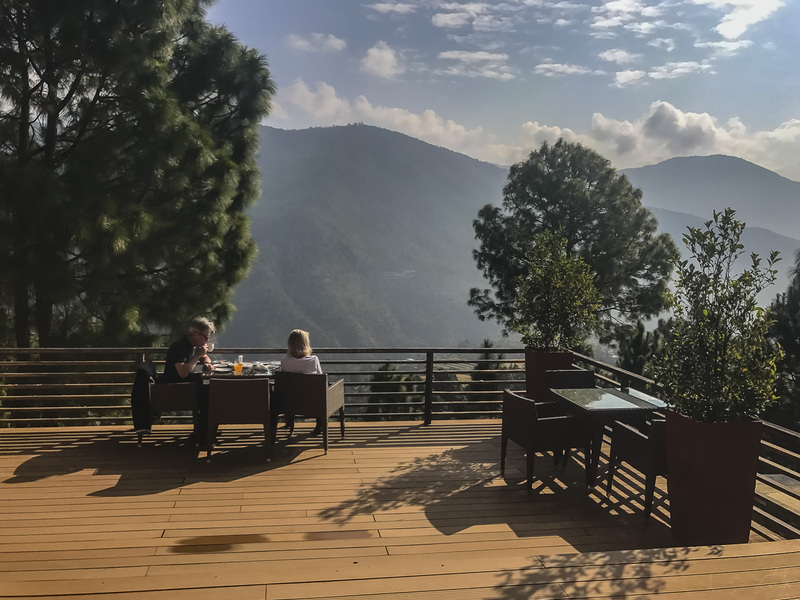 22 Responses to "18 Things to do in Bhutan – A Comprehensive Guide of What Not to Miss"
Hi , which month did you visit Bhutan. Also, I am planning on visiting in end days of april. Is it a recommended time to travel ? How’ll be the scenery like at that time of the year. Great information and sure will help me to understand about my upcoming trip to Bhutan, we are planning to visit there soon! 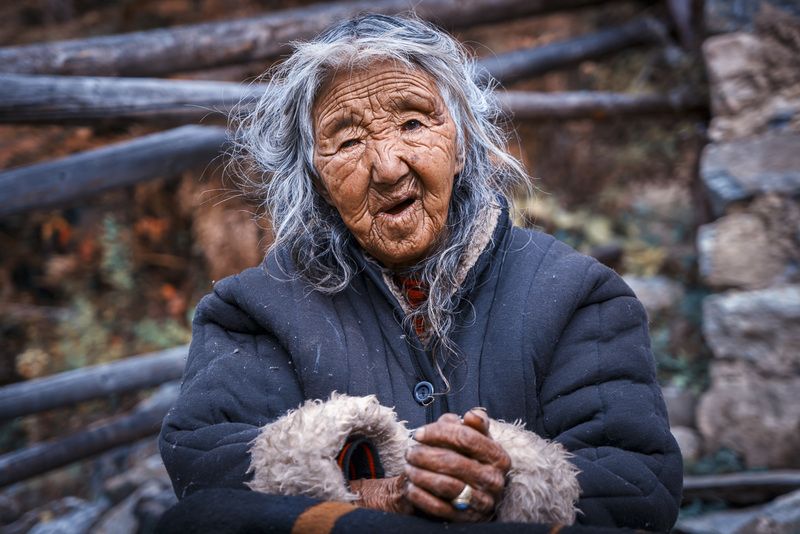 Thanks for sharing this useful and understandable Bhutan travel guide, Dave and Deb! 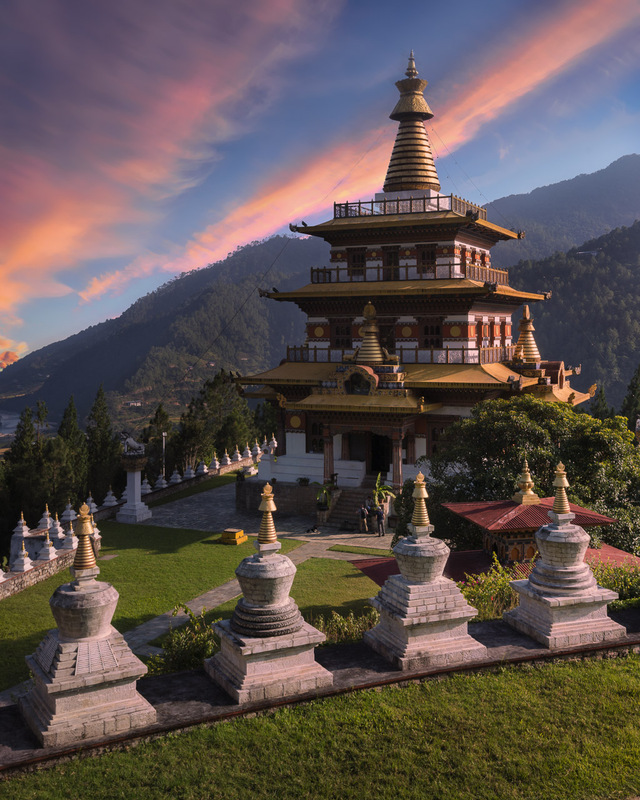 We all need to try and discover new places to go on an adventure to and it looks like Bhutan is one to be put on the list. This guide is truly informative as you recommended us almost everything we need to bring and do during the trip. Plus the illustrative photos makes it all the more exciting! I am so in love with your writings and since I have been to Bhutan, I can relate it all. However, I regret spending such a short period of time in this beautiful country. After reading your article it inspires me more to plan a trip soon. Perhaps this time I would explore the mysterious and breathtakingly beautiful Haa Valley of Bhutan. The explore the sacred lakes and the mountain where the dead infants rest. I am glad I came across Planet D. Thank you so much for these wonderful travel treats that we receive through your writings. 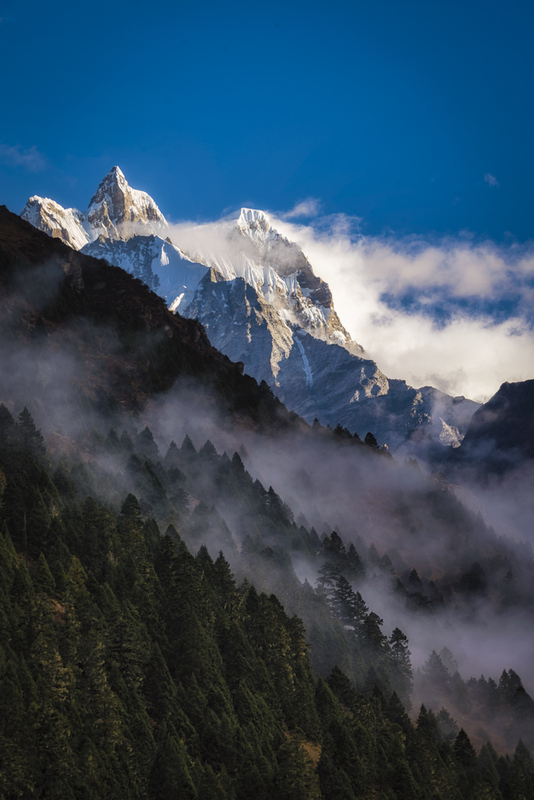 The Tiger’s nest Monastery and the Trek to Himalayas look like awesome experiences. Thanks for such useful and easy to use Bhutan travel guide, As all of us from time to time need to discover new adventure in unique destination like Bhutan but a lack of information make us cannot take the risk,But your guide put every thing in our hand as you tell us places to visit, things to do , place to stay and more about city in addition to illustrative video and photos so you feel that you travel Bhutan by your mind , I really appreciate the effort excreted to make such guide appear in this form. 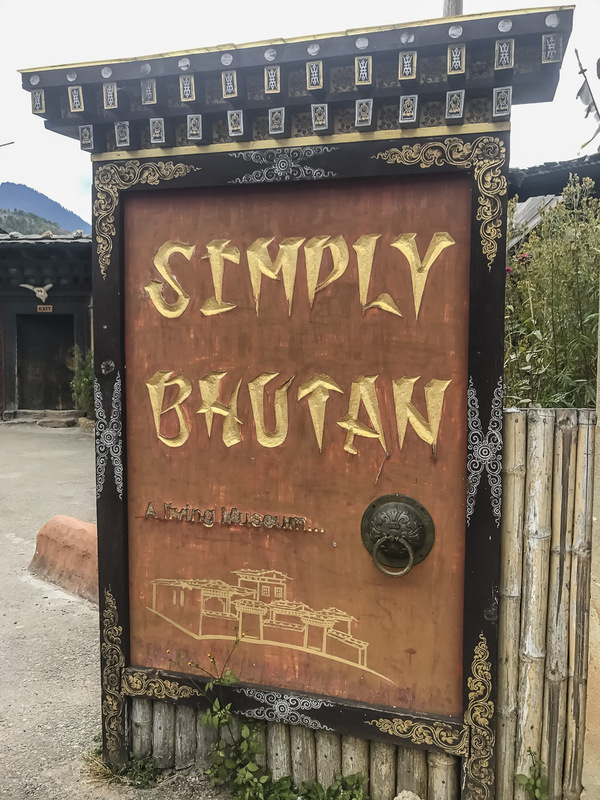 Bhutan has always been on my list of must places to visit and your article has beautifully essayed it. Thank you for sharing it. Keep traveling and keep inspiring. Bhutan is most beautiful destination and its things are so amazing to enjoy. you shared good tips to visit most famous things of beautiful Bhutan. stunning photos you shared of that beautiful place. Thank you so much for sharing this beautiful post! Having recently returned from Bhutan, your post brings back fond memories. I would like to add a couple more recommendations. 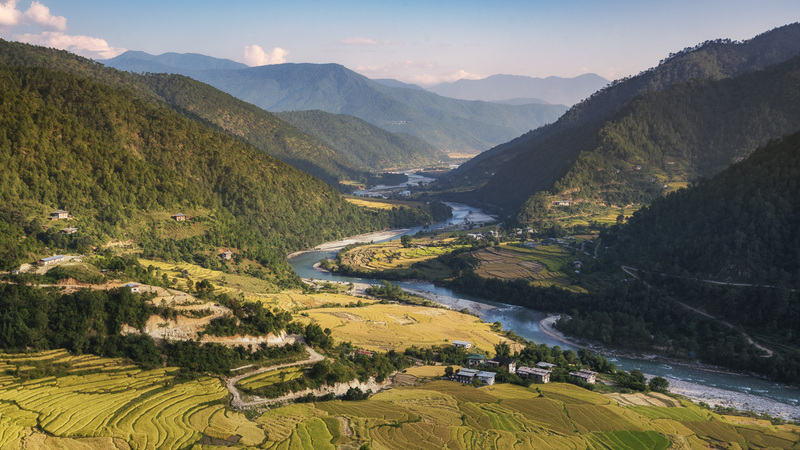 There is a nice 4.5 day trek from Paro (where the airport is) to Thimphu (the capital – and its best to trek in this direction so you don’t have such a steep first day) called the Druk Trek, part of the old Silk Road. Near the top, the mountains are COVERED in dwarf rhododendrons that will bloom late spring (just before to go before the monsoon season beginning mid- June!). Our highest altitude was just under 14,000′ so it’s a doable trek for most fit folks. We missed the rhododendrons blooming so we could go to the Paro Tshechu festival, one of the most popular in this region. The local’s colorful national dress, plus the crazily costumed masked monks dancing at the festival are etched in my brain – highly recommend! If you want to see more photos, videos, etc I have them on my website plus featured my Bhutan trip on my podcast. 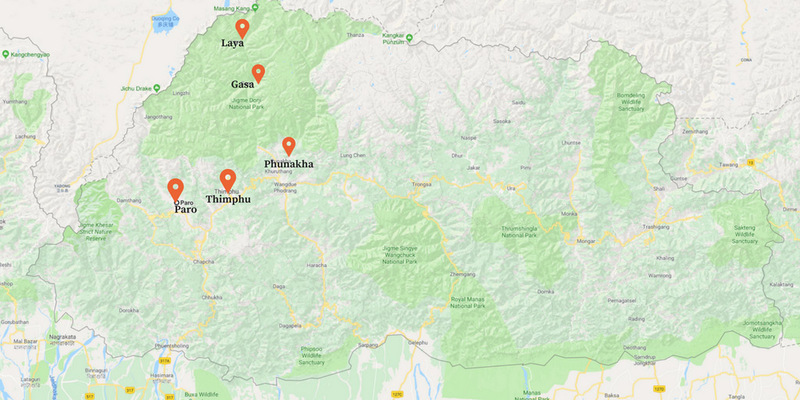 It was such an amazing adventure that I am already planning on returning next year to visit the central section to see some of the exotic animals and now after reading this post, may have to tack on the Laya trek – Thanks for a great post and wonderful recommendations! 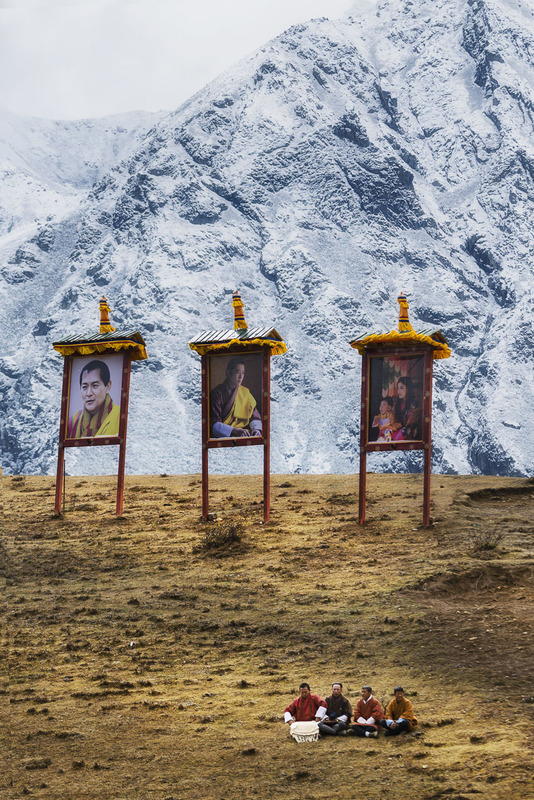 PS – Now that Bhutan is being ‘discovered’, it’s a good idea to go sooner rather than later. (It is VERY safe, fyi). It’s really very wonderful destination to visit i.e Bhutan, hope i will too visit here very soon!! Nice article! I would love to go there just to eat some momos, they are so tasty! People there looks so in peace, maybe like in Laos in Luang Prabang, because of the buddhism Terevada culture. Beautiful! Have never been to Bhutan…thanks for sharing. Nice read. Very informational. Was looking out for a blog this kind. Have been planning for a trip to Bhutan late this year. This looks really nice! 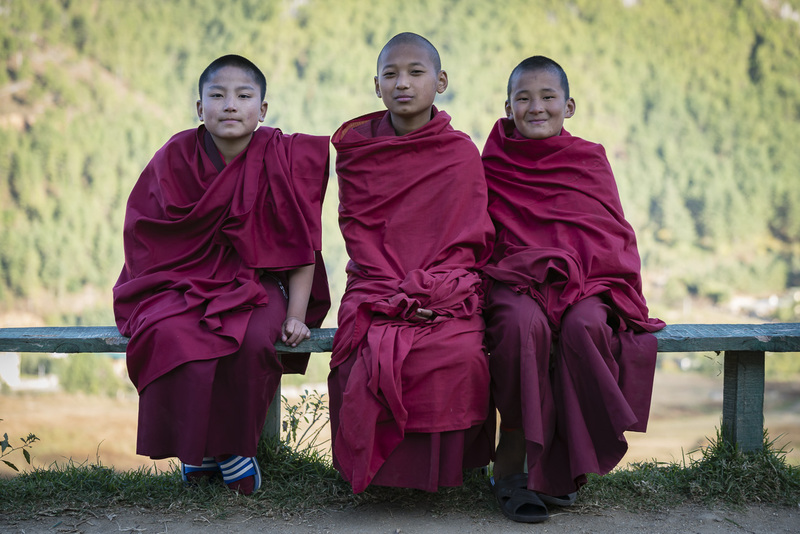 You shared awesome list to do things in Bhutan. Your pictures make me want to visit. I will plan a trip here someday. Thank you for the great information and more destinations to add to our list..
I’ve been waiting to visit Bhutan (putting it off) but now this really makes me want to go. Such a helpful guide and thanks for letting us know what tour company you went with!